Nokia's Stephen Elop is set to receive an 18.8 million euro ($25 million) payout when he leaves the company and moves to Microsoft. Nokia's former CEO Stephen Elop is set to receive an 18.8 million euro ($25 million) payout when he leaves the Finnish tech company to join Microsoft, upsetting many who think the windfall seems unfair. Elop announced earlier this month that Nokia (NOK) had inked a 5.4 billion euro ($7.2 billion) deal to sell its mobile phone business to Microsoft (MSFT). The takeover -- considered a win-win for each company -- also stipulated that Elop would move to Microsoft. 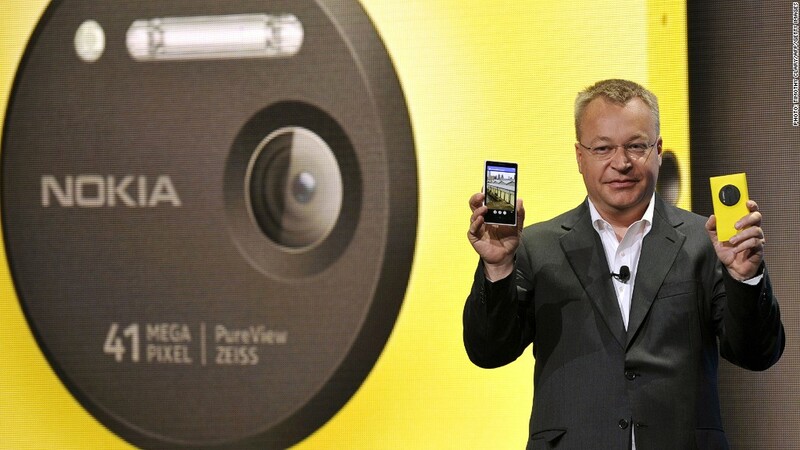 Nokia then amended its employment contract with Elop, ensuring he received the large payout when he leaves, even though his previous contract would not have allowed the payment. Elop's windfall will be paid by both Microsoft and Nokia, with Nokia paying 30% of the tab and Microsoft picking up the rest. The move, which caused shock and anger to ripple through Nokia's Finnish homeland, created an uncomfortable situation for the firm's chairman and interim CEO, Risto Siilasmaa. According to reports, pressure from the community led Siilasmaa to privately ask Elop to forgo part or all of his payment package, though Elop is reported to have declined, explaining that he was in the midst of divorcing his wife. Nokia would not comment on this development. Elop, who previously worked at Microsoft before taking the helm at Nokia, is widely expected to succeed Microsoft CEO Steve Ballmer when he retires. Though Elop wasn't able to turnaround the struggling Nokia, Microsoft is surely hoping he'll have more luck once he's back in the States. Nokia was once a dominant player in the mobile handset industry, but quickly lost relevance as competitors such as Apple (AAPL) and Samsung (SSNLF) gained ground.